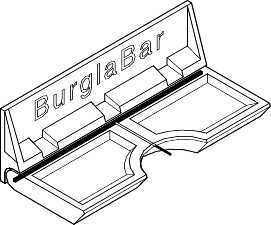 Two Piece Hinged Assembly, Clear Adhesive Backing, Installs On Stationary Glass Panel, Clear Lucite, Easy Installation, Recommended For Windows and Patio Doors (2 Required). 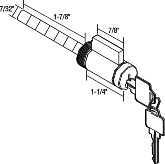 For Use with 89-0963 Or 89-0965 Patio Door Locks. Five Pin Tumbler For 1-1/4" Thick Doors. Composite Keyway Fits Kwikset, Weiser and Weslock.